Mahira khan aka. Humsafar's "Khirad" is stick to her strict no intimate scenes policy. Mahira's first Bollywood break through has been very ... for her fan following. She said this on many platforms that quality of work and script matters near her, and she will not do anything beyond her limits as many of our actresses did in past. She wanted to set an example and remain A grade actresses even in Bollywood. Here is the proof of her words; news of Mahira Khan floated that she refused to do on screen romance with co star Nawazuddin. Even the co star did not know that Mahira refused to shoot intimate scenes with him. Nawazuddin Siddiqui told an Indian daily that he is clueless about his Raees co-star Mahira Khan refusing to shoot intimate scenes with him. In a reply to queries about recent reports, he said "Even I heard about it in the news. I don't have any idea about it," She was strict about policy and the shoot. 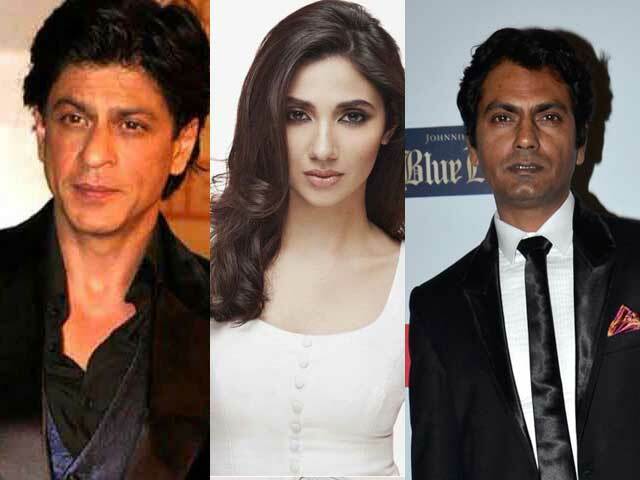 The Shah Rukh Khan-starrer Raees, Mahira Khan and Nawazuddin play a couple who are in an unhappy relationship, and they have some intimate scenes in the film, according to reports. The recently unveiled teaser of Raees had gone viral for Shah Rukh's menacing don look. The film is gearing up for an Eid release next year while being pitted against Salman Khan's Yash Raj production Sultan. Her refusal to do intimate scenes was surprisingly connected to other Pakistani actors Ali Zafar and Fawad Khan's reported aversion to intimate scenes.